38% phosphoric acid. Blue tinted. 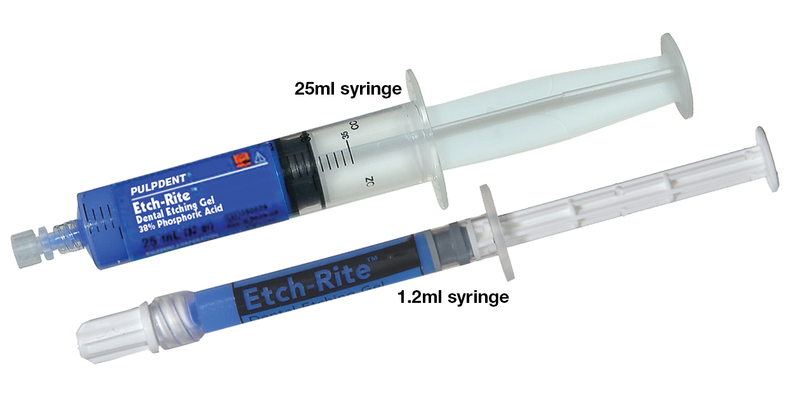 Contains: 4 x 1.2ml syringes and 8 bent needle tips (lt. blue, 25ga). Contains: 24 x 1.2ml syringes, no tips. Contains: 2 x 3ml syringes, 25 bent needle tips (lt. blue, 25ga). Contains: 2 x 25ml syringes, 50 bent applicator tips (lt. blue, 25ga)., 5 x 3ml empty syringes. Contains: 2 x 25ml syringes, no tips.